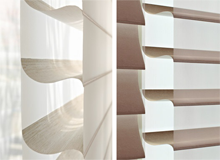 Facette® Shades combine all of the functionality of Venetian blinds with the elegance of soft fabrics. 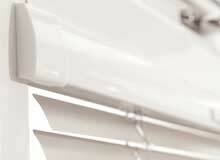 This revolution in window blinds enables pleated, roller and venetian blinds to be installed 'perfectly' into most upvc windows. Ideal for tilt and turn windows. 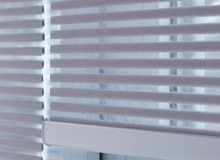 Duette® Shades from Luxaflex® feature a unique honeycomb construction that makes these shades soft, durable, and highly energy efficient. 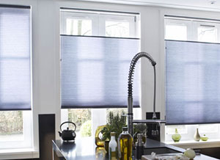 Plissé Shades from Luxaflex® feature crisp, pleated fabrics in an extensive selection of colours and styles. 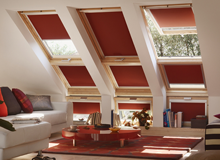 Blinds to fit velux windows. 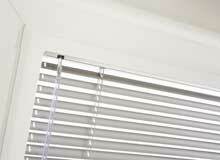 Rollers, pleated and venetian blinds available.